Truth and Dare! 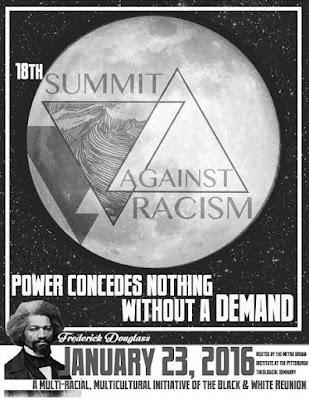 A Comic Book Curriculum for the End and the Beginning of the World: Truth and Dare at the Summit Against Racism! Truth and Dare at the Summit Against Racism! Environmental Justice: Is it a beautiful day in your neighborhood? 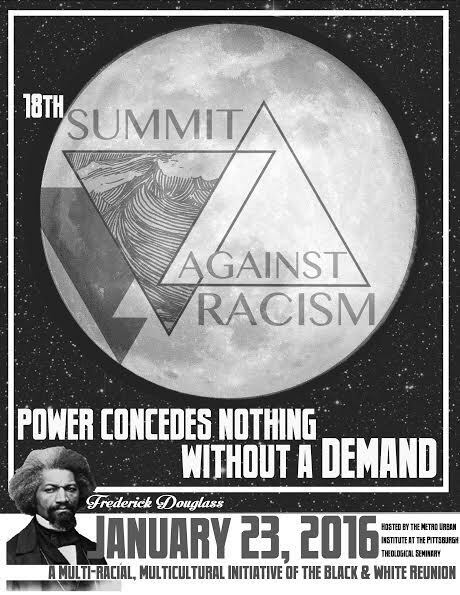 The annual Summit Against Racism is a one-day conference that happens the Saturday after Martin Luther King Day. The first Summit took place in 1998 after the heartbreaking death of Jonny Gammage, a Pittsburgher, who was brutally murderd by 5 police officers. The Summit is a day for open dialogue, to generate ideas and action, to move the Pittsburgh region forward into a place we can be proud to call home. The workshops address current and emerging challenges facing our region and nation. The conference is a program of the Black & White Reunion and coordinated by a planning committee made up of volunteers. Twice in the history of the Summit has their been financial resources to pay a part time coordinator. 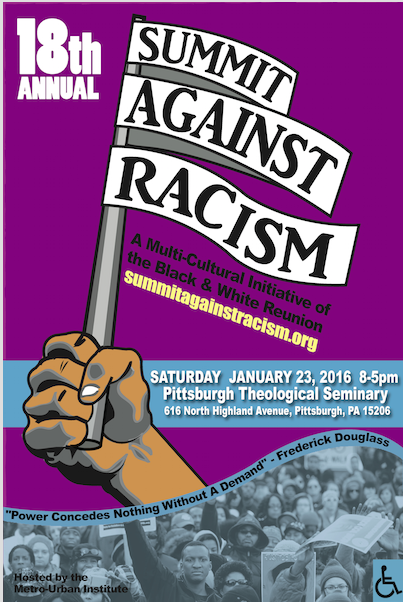 This gathering is an effort to build Pittsburgh’s most important bridges, the bridges that span our relationships and strengthen the justice movement in our steel city. 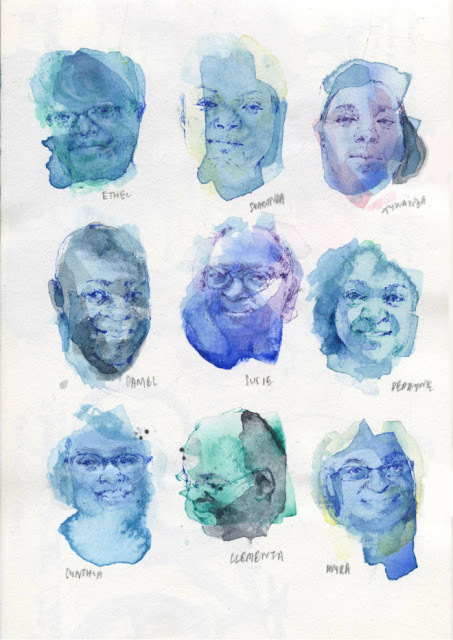 "This illustration by Jia Sung shows water color portraits of those who lost their lives in the Charleston church terrorist attack. Jia writes: I’ve been working on a series of portraits memorializing the victims of the Charleston shooting, and reaffirming their presence – a small gesture of tenderness in the face of great violence." I am Alecia,from what I can read. It has been sad news and scam to everyone about Voodoo casters or so. But to me they are so real cause one worked for me not quite two weeks.i met this man on a blog his name is Dr Abalaka is a very powerful man.I traveled down to where his shrine his and we both did the ritual and sacrifice.he had no website site, and now me and my ex are living very ok now.I don't know about you but Voodoo is real;love marriage,finance, job promotion ,lottery Voodoo,poker voodoo,golf Voodoo,Law & Court case Spells,money voodoo,weigh loss voodoo,diabetic voodoo,hypertensive voodoo,high cholesterol voodoo,Trouble in marriage,Barrenness(need a child),Luck, Money Spells,it's all he does. I used my money to purchase everything he used he never collected a dime from. He told me I can repay him anytime with anything from my heart. Now I don't know how to do that. If you can help or you need his help write him on (dr.abalaka@outlook.com) i believe that your story will change for better,or if you have any question you can contact me here as 1001madonado@gmail.com also his facebook link https://www.facebook.com/profile.php?id=100014833723968 Thank you.